A special thank you goes out to Abiie for sending my sister this product for review. Opinions expressed are that of the contributor. 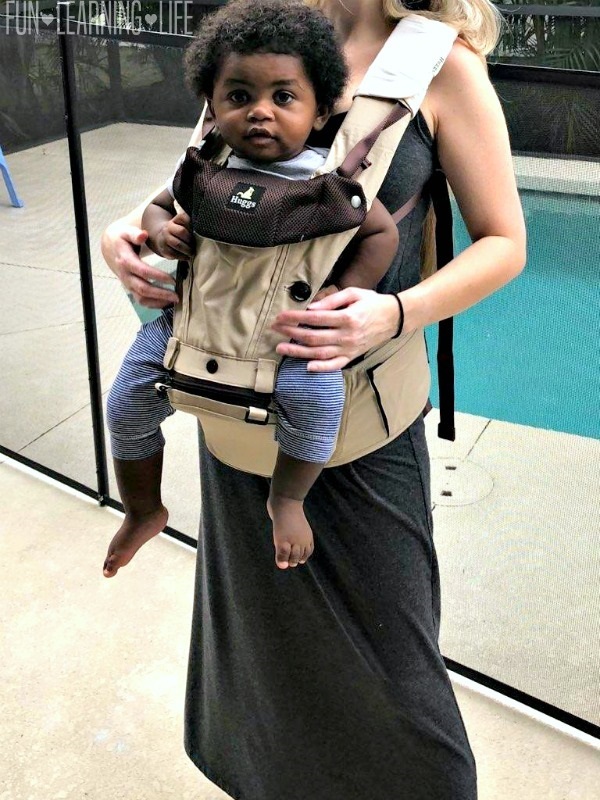 My sister just shared her thoughts on Baby Products that are keeping her 9 Month Old happy, and now she is showing how an innovative carrier is making a difference in how she walks around and stands with her son. 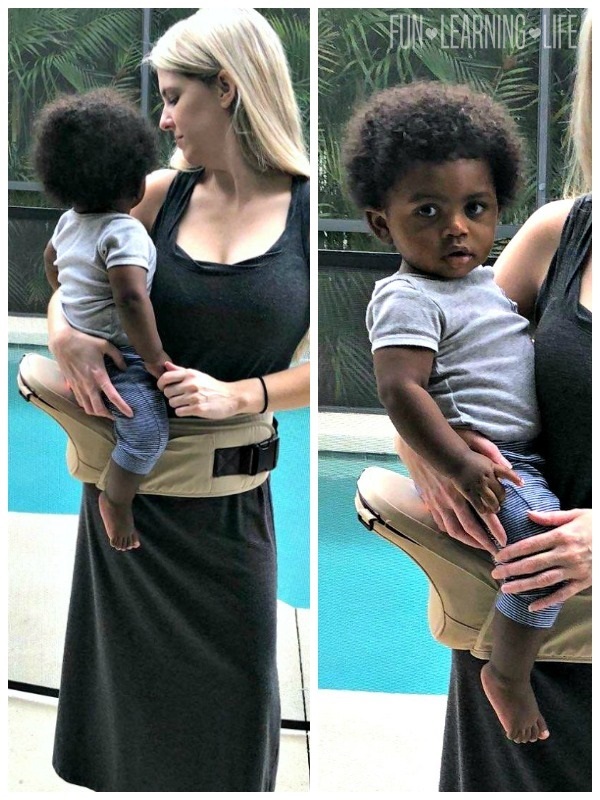 She shares…The Abiie Huggs Contour Baby Carrier is a comfortable carrier to wear for both Mom and Baby. However, what impressed me the most was the fact that it was designed to help prevent Hip Dysplasia and it is giving me extra support to carry my little guy. 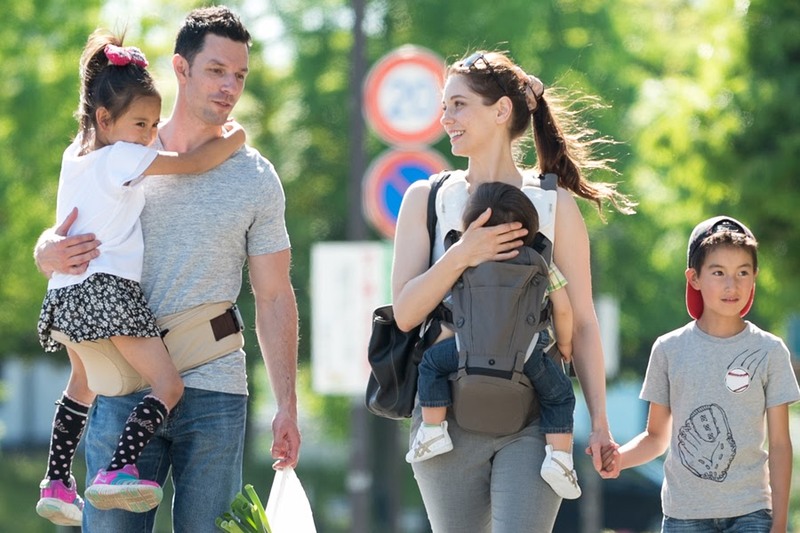 With the option to be setup in 4 positions, baby can be worn as a Front-Inward; Front-Outward; Back Carry; and Hip Carry. I especially appreciated the videos instructions as well as pictures online to make it easier for me to learn how to use it correctly. I have to say my favorite position on the Abiie Huggs Contour Baby Carrier is the hip carrying. My baby is not that little anymore, and his weight does put a lot of pressure on my back and arms. The built-in shelf in this carrier is providing support and taking that strain away. Hip Seat Technology: The carrier booster seat provides all-day comfort, and keeps your baby ergonomically seated in a healthy hip position. Have you ever used a carrier before? What features do you like about the Abiie Huggs Contour? Containing no harmful substances, such as BPA, Phthalate, PVC, this device is for up to 45 pounds. Look for the Abiie Huggs Contour Baby Carrier in 2 colors (Charcoal Grey and Khaki Sand) for a suggested retail price of $129. I’m very excited to have the Abiie Huggs Contour Baby Carrier, and can see it as a product I would use daily for family activities. To learn more about this product visit Abiie Huggs Contour as well as check them out on Facebook at facebook.com/AbiieFan and Twitter at twitter.com/myabiie. Thanks to Abiie, I have been authorized to giveaway a Huggs Contour Baby Carrier to (1) One lucky Fun Learning Life Reader, a $129 Value. * Participants must be 18 years or older to participate and live in the contiguous United States. Odds are based on the number of entries, and by participating, you agree to these terms and the laws set forth by your individual state. Entries will only be accepted through the Rafflecopter Form, and Fun Learning Life is not responsible for disruption of the page or service which could cause problems with entering. 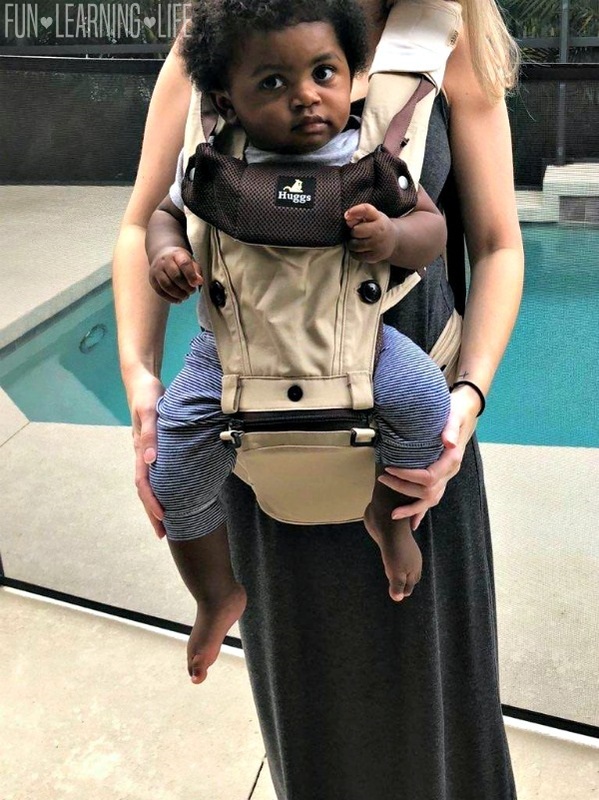 The winner will be contacted through email (make sure you check your spam or junk mail) with the Subject line “Huggs Contour Baby Carrier Winner”. Shipping information, including email, phone, and address will be collected at that time. The winner has 48 hours to respond, after that an alternate will be chosen, and so on and so forth. Fun Learning Life does not sell personal information. The prize will be fulfilled by the sponsor. Fun Learning Life does not share information with 3rd parties unless specifically expressed in a specific promotion or giveaway. This giveaway is not associated, nor sponsored by Facebook. Not yet. I like the Weight Distribution. Yes, they are so handy. I like that this one looks comfortable for both parent & baby. I had one a long time ago with my first son, he is now 13. I am now pregnant again. I love how many different ways you can wear this! So, so cool! Not yet, I like that this one looks comfortable. I have not. I like the carrier booster seat provides all-day comfort, and keeps your baby ergonomically seated in a healthy hip position. I like that it can be used in different positions -- really like the on hip option without the straps. I have not... but the different positions seem to be super effective. OMG... I love this. Wish I had this when my son was small!! . I don't have kids but my sister could sure use this carrier as this would make her life much easier as a single mother. Yes I have used a carrier before. I like that it has extra padding on the shoulders! I wore my baby all the time when he was younger. I've gotten out of it now, but I should start back. I love the hip carrier option o. Thus one! I used a carrier with both my boys and I would love to win this for my first upcoming Grandchild. 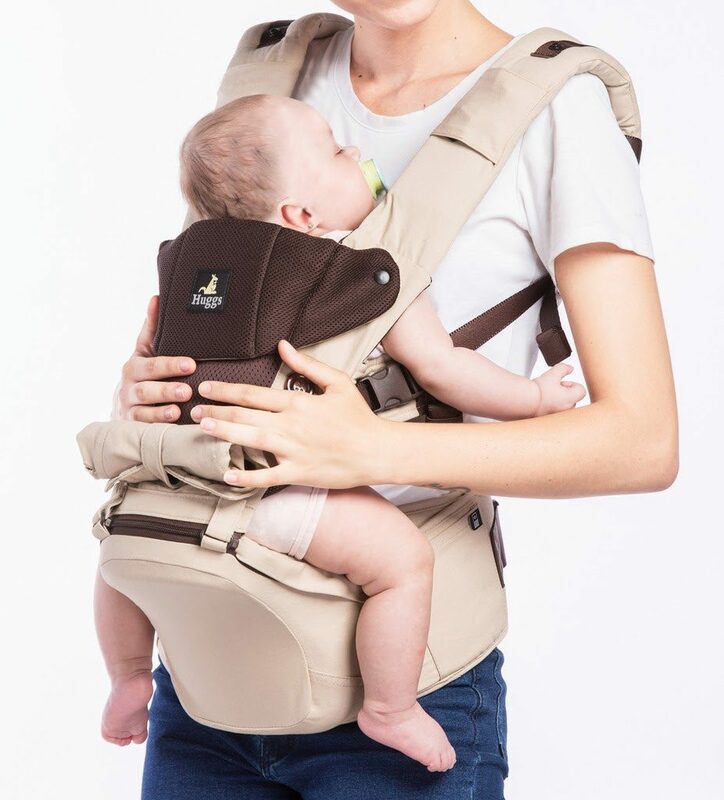 I love the feature of the padded shoulder straps to help evenly distribute your baby’s weight in combination with the waistband to maximize your comfort by alleviating pressure on back and shoulders. Never used this before. Love even weight distribution. I have a backward facing carrier but I have always wanted a forward facing carrier! I really like the hip seat technology in this carrier! I tried one we got from a friend, but it didnt really work very well for her. I love hos this one has the seat! Looks so comfortable for both baby and mom! I have not used a carrier before and I think the weight distribution is a great feature! Never used a carrier before. It is nice how this one distributes the weight evenly. I have never used a carrier before but it looks really comfy!!! I have not. I like the padded shoulder straps and the booster seat. This is so versatile, and sturdy, it does look very beneficial. I haven't used one, but I'd like to keep it in mind for my niece who just found out she's expecting her first! Yes I did. I like this because it takes the strain off hips. I have when I watched my nephews before I would like to gift to my friend this one. This looks like it would be comfortable for my little niece! Yes, I carry. I like the Hip Seat Technology. I've used a carrier before but I'm currently looking for a new one. I feel like the straps are rubbing too hard against my baby. 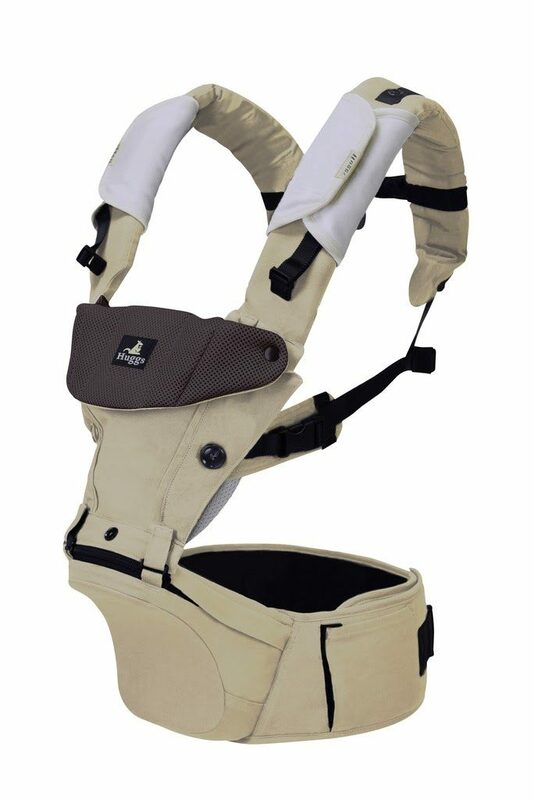 I have used a carrier before but I love the way this one has the Hip Seat Technology. I have not used a carrier but like how it keeps your baby in a safe position. I haven't used a baby carrier before. yes i love them. they are the best. I didnt use a carrier this one does look really comfortable to wear and for the little one too. It .evenly distribute your baby’s weight which i would like carry my nephew around. I used a carrier when my nieces were small to take them hiking. i love that this makes it easier to carry older children. It would be great when we go on a walk and my older niece gets tired. No, I haven't used a carrier before. The features that I like about the Abiie Huggs Contour are the padded shoulders and the hip support of the baby. Thanks for the giveaway! I've never used a carrier with any of my kids, but I'm excited to try with the next one. I really like the breathable 3D mesh so they don't get too overheated. I have used one before and I like the hip carrier portion. I like the built in shelf, what a great idea. I love the hip carrying option. I was a baby wearer so I am familiar with carriers. I love that the Huggs carrier can be switched around and used for a toddler. 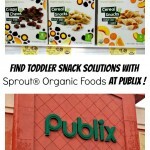 My son is 2 and this would be perfect for us! I love that it prevents hip dysplasia. I also love that it is made from non toxic ingredients. 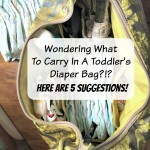 I haven't used a carrier yet, but in talking to my daughter in laws that are having babies, their big issue and how hard it is to find carriers that don't leave them sore. I have never used this before or even heard of this. I love the carrier booster seat provides all-day comfort, and keeps your baby ergonomically seated in a healthy hip position. The fact that it has a hip placement is great I have not seen anything like this and would work for many age groups. I have used a carrier before. I like this one because of the extra stability and support. No I haven't but I love the way this adjusts. I have not used one before but I would like to try it out. I haven't used one yet. I really like that it can can worn in 4 different positions. No I have never used one yet. I have used a carrier before and I like the padded shoulder straps on this one.